Looking for a cool new pair of wireless headphones? If so, you might want to check out the latest deal at Verizon. 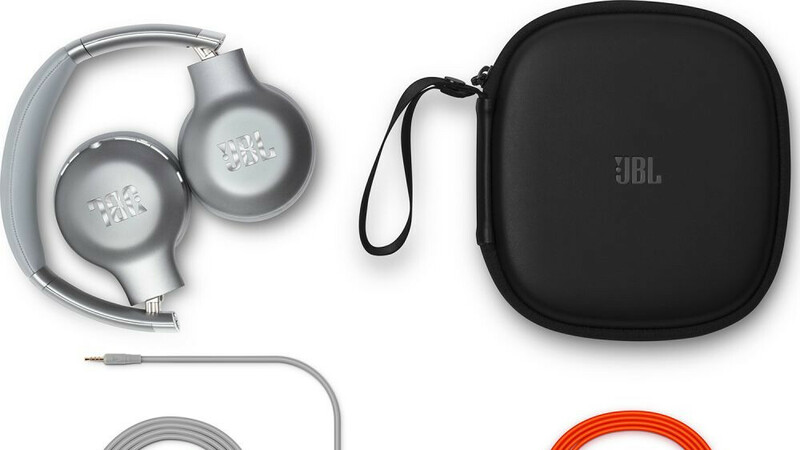 The carrier is offering a $60/30% discount for the JBL Everest 310GA Bluetooth on-ear headphones. This model typically retails for $200, and although you could get one for a slightly lower $185 at Amazon, Verizon's quote of $140 is currently the lowest we could find. If you want to take advantage of this promotion, just add the headphones to your cart and the discount will be applied. The Everest 310GA have a driver size of 40mm. Aside from the comfortable ergonomic design and quality sound, these cans are also optimized to work with Google Assistant. You can control your music and receive notifications without glancing at your phone - just tap the GA touch sensors on the earcup. Another interesting feature is the ShareMe 2.0 technology that allows you to connect another pair of Bluetooth headphones and share your music. The built-in microphone is advertised as having echo cancellation technology. Last but not least, JBL is claiming that these headphones can last up to 20 hours between charges, with only 2 hours needed for them to get topped up. If this deal interests you, feel free to follow the above link to Verizon. Shipping is free, and a 1-year warranty is included.